Beautiful tulips for spring. 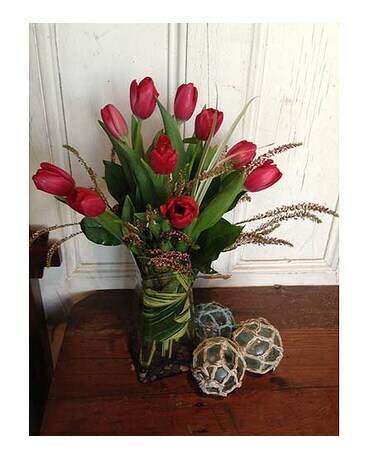 Fresh spring tulips are coming in to the shop now from our growers. We will choose the best color available, pink, red, white or even purple. If you'd like a specific color please ask for it in the special instructions and we will do our best to fill it, not always possible, but we'll try.